Are you thinking you need to hire a professional political consultant to run your campaign? If so, then you need to be slow and methodical about it. There’s five key steps all candidates should take when they consider bringing on a consultant. If you don’t follow these steps, you may greatly regret it later. But before we get to that, I must ask this: Should you be hiring a consultant for your campaign? This previous article I wrote looks at which candidates do and don’t need to have a consultant on their campaign. Read it first, and if the answer is yes, then come back and follow the steps below. Too many first time candidates hire a political consultant for their campaign without talking to more than one consultant. Unless this is a consultant you know and have worked with on a campaign before (yours or someone else’s), this is an absolutely horrible idea. You wouldn’t buy a house without checking out different houses. You wouldn’t buy a car without researching and possibly test driving other cars. Why would you consider hiring a consultant after only talking to one of them. Contact at least three consultants. You could reach out to more, but five legitimate political consultants should be more than enough for you to interview if you decide that your campaign needs a professional consultant. The keyword in the sentence above is”legitimate.” There are plenty of people who bill themselves as political campaign consultants, yet they have never won a race. Some haven’t even consulted for a campaign before. The next steps will help you separate the wheat from the chaff in this regard. You need to know which campaigns a consultant has worked on previously. Often you’ll have a bit of an idea, as other candidates and elected officials you know will recommend consultants to you. Many elected officials will suggest that you use their person, but you must be careful here. You never know the relationship between the consultant and the person referring them to you. You want a consultant that’s there to serve your interests and not the interest of someone else. Therefore you need to ask about the various campaigns the consultant has worked on. Specifically you want to know about campaigns they’ve consulted on that are similar to yours. You want a person who understands what your campaign will require. You also want to know if the consultant has worked on races in your area or in places similar to where you’re running. This is more important than what you may think. Your consultant needs to have a grasp of what goes on in the place where you live or in places similar. I’ve seen people come to Southern California who have tremendous track records in other states who fall on their face campaigning in the Golden State. Also someone who runs small rural races may not be as skilled at running races in more urban, metropolitan areas – especially if they are not adept at campaigning to a certain ethnic, religious, or partisan demographic. While the fundamentals of successfully campaigning are universal, there are nuances in different locations that all candidates should take into account. Running the mayor’s race in Los Angeles is different than running the mayor’s race in Houston, Chicago, or New York City. Heck running a race in Northern California is a different animal than Southern California. Consultants are great talking about their plans for your campaign. They’re not always great about talking about their track records. It’s understandable if someone wants to play down their losses, but I’m often amazed by how many consultants don’t want to highlight their victories. The reason is simple: they don’t have enough wins to brag about. They’ve either have a long list of losing campaigns they don’t want you to know about, or they’ve never ran a race before and don’t want you to know that either. If a consultant doesn’t have any wins under their belt, or they’re totally new to campaign consulting – proceed with caution. You could be hiring a salesman rather than a campaign professional. Does that mean you don’t hire a consultant who has lost half the races they’ve ran or more? Not necessarily. The outcome of several political contests are never determined by the advice provided by the consultant. Sometimes the breaks are just working against you. If the candidate doesn’t raise enough money, is running against a popular incumbent, has a major scandal erupt, of r doesn’t work hard enough on the campaign, then there’s nothing the consultant can do to affect the outcome. I often tell my clients “If I want to win this more than you do then you’re not going to win.” Here’s a list of 10 reasons candidates often lose – some of them completely out of their control. Examine the consultants losing races to determine if they might be the reason their candidate did not win. 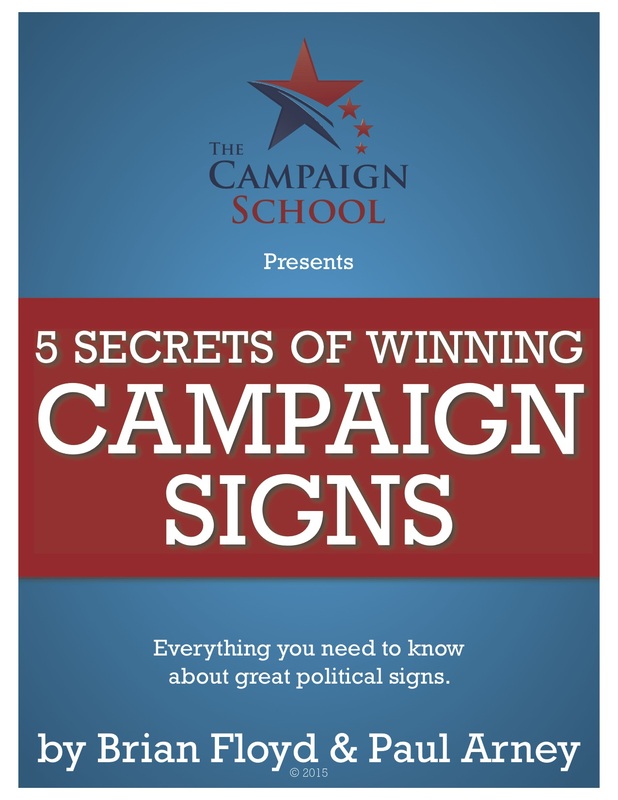 Ask to see the campaign materials they produced for their campaigns – the mail, signs, handouts, any videos – and determine if the quality or the messaging is something you’d expect from a winning campaign. At the same time, don’t shy away from a first time consultant. You just have to make sure that they have the political background and experience to serve as a consultant. Too often, people that hang around campaigns think they know how to run them when they don’t have a clue. Don’t consider them for your consultant. Look for people who have a history of campaigning before they struck out on their own. By the time I started providing my first consulting services to campaigns in 2003, I’d been working on political campaigns under other consultants since 1996. I’d learned what to do, what to avoid, and was mentored by experts in the field. Those campaigns served as my training and education so that I could myself could one day consult for numerous candidates and campaigns in the years to come. Every employer wants to see the job applicants references. Why wouldn’t you as a candidate for office? If someone wants to consult your campaign, talk to the candidates they’ve consulted for in the past. That will give you a very good idea of who the consultant you’re interviewing really is. And don’t let them steer you only to winning candidates. Talk to the clients they had where the campaigns came up short. While I have not lost many races as a consultant, I always provide prospective clients with a list of references that includes former clients who didn’t achieve this political goals. Such references are great as they can give you a balanced perspective of the consultant and their abilities. But in politics “victory has many fathers and defeat is an orphan.” Some losing candidates will never accept that they might have been the reason they lost. They blame everyone involved on the campaign but won’t take any of the blame on to themselves. If a consultant tells you that about a losing client or two and doesn’t recommend you contact them as reference, heed their words. If the consultant says that about all of their losing clients, be very, very leery of the consultant. After you’ve met with and interviewed your slate of consultants, ask them to submit a written proposal for your campaign. Ask this of all of the ones that you’ve talked to, even if you’ve already disqualified any in your mind. You want to have proposals to compare to each other. Do not tell them what you expect in a proposal. They should already know. If they don’t, or they don’t want to submit such a proposal, that should tell you all you need to know. The proposal should be an overview of how they intend to help you win your campaign. It should look at you and your strengths, the area you’re running for office in, likely voter contact strategies, a preliminary sketch of a potential campaign budget, and how much they want to charge you. When you get the proposals, review them all thoroughly. You will see things that you didn’t notice before. Someone who didn’t do well with you one-on-one might have a detailed proposal that knocks you’re socks off and raises their value in your mind. Another consultant who won you over in person might submit something vague and shallow in writing, hoisting a red flag for you. After you’ve completed these five steps, it’s time to chose which consultant you want to hire for your campaign. Perhaps you won’t want to hire any of the consultants you’ve interviewed. That’s not a bad thing. You probably just saved your campaign a lot of money. Go out and look for more consultants, if you must have one. Or maybe you only need to put together a brain trust that can organize the campaign and hire the vendors individually to handle your mail, phone calls, and any polling you need for your campaign. Who you hire or don’t hire as your consultant is entirely up to you. It’s not up to other elected officials, your supporters, your donors, anyone. It’s up to you. You have to live with your choice, in more ways than one. Not only are you bringing on a consultant to help win your election, you’re bringing on a partner. This partner will be with you every day of the election in some capacity. You’re in it together no matter what, so you need to hire a consultant you want to interact with potentially several times a day. If you can’t see yourself doing that with a certain consultant, even if you believe they are the most qualified, you may not want to bring them on board. The relationship between the candidate and the consultant is the most important on a campaign. You not only need to choose the consultant that will help you win and is always 100% honest with you, but also the consultant that is a good choice for you personally. If you’re married, involve your spouse in the entire selection process. Your spouse will be protective of you and might notice things about a consultant that you’ll miss because you’re in a hurry to get a consultant on the campaign. Trust your spouse’s instincts. They’re the only person involved that you know completely has your back in this. Regardless of your marital status, don’t make the decision to hire a consultant hastily. Take the time and follow the steps listed here. Things will be revealed during the process that a quick feel-good meeting at Starbucks sealed with a handshake agreement will never show you. Do your due diligence then hire the consultant you think is most likely to help you win and fits with who you are and what you’re seeking to accomplish by being in elected office.